Before today is over, the weather experts predict we’ll have had more than 1.5 inches of rain from a single day-and-a-half storm. That’s almost the average total rainfall for the entire Month of May. Earlier this week, there was a story in the Seattle Times about the 65 feet of snow still covering the North Cascades Highway which typically would have been cleared three-four weeks ago. We are still mired in a record cold, record wet spring. 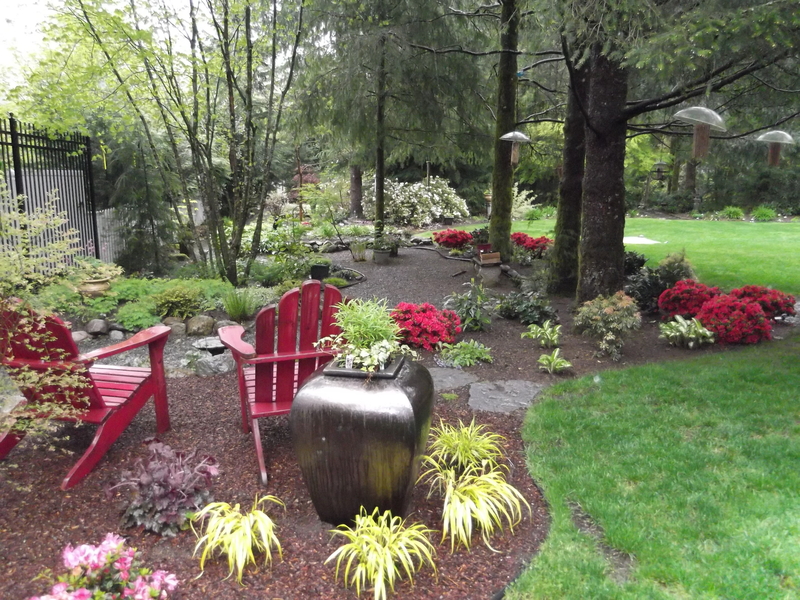 We’ve used the few brief rainless periods to keep up with our landscaping projects. Alas! 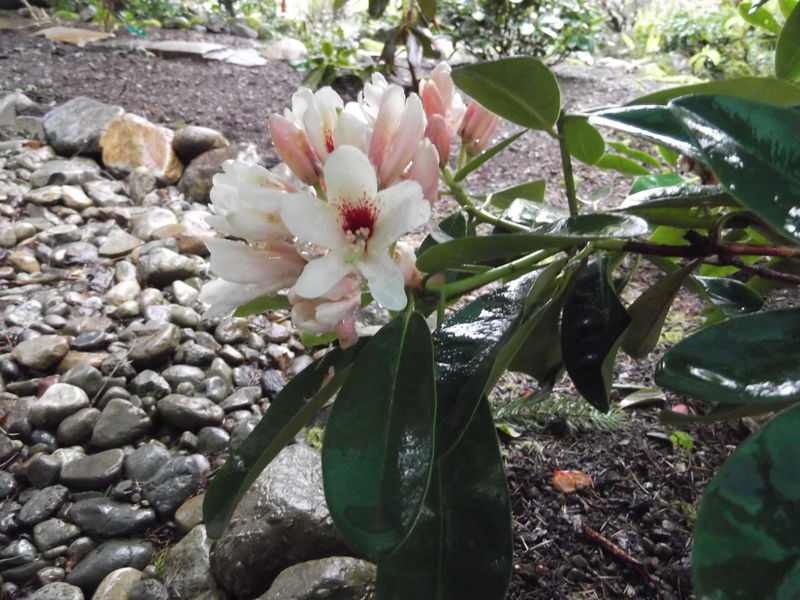 Yesterday –May 14th– a few rhododendrons began to show blooms. The red azaleas we just planted a couple of weeks ago are in full flower but they had the advantage of spending most of the spring in the nursery. Even on the occasional dry day it’s not much fun to play golf in the Seattle area. Courses and greens are just too sloppy. I decided to take the 55 minute drive east over Snoqualmie Pass to Suncadia Resort and its lovely Prospector course. What a pleasant difference: 15 degree warmer and wonderfully dry. They actually had the sprinklers running. Even my golf was better. Four consecutive pars on hole 2 through 5 led to a very solid 41 on the front nine and I held on to shoot a respectable 89. I love the course. It has large fairways and greens but the variable slopes and bunkers make for a challenging track. It’s Official: April was COLD! We’re thankful for no tornadoes, floods or earthquakes. But for golfers and plant lovers April in North Bend was a bizarre weather month. It was the coldest April since they started keeping weather records in 1891. There was only one day when the high temperature was over 50 degrees (compared to eight last year). Worse for the plants, overnight lows were below freezing every night. As for precipitation, not only did it rain on 20 of the 30 days –that’s typical– but it snowed on five days. This past Thursday I was looking at one of those lists of daily high and low temps for U.S. and foreign cities that they publish every day in the Seattle Times. It has over 140 cities: our day-time high temperature was lower than almost anywhere on the planet…literally. Only five cities in the list were colder. Depressingly, the extended forecast is not promising. Summer is likely to be colder than normal the weather experts say.